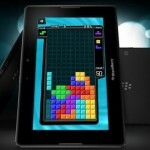 RIM’s Co-Chief Executive Officer Jim Balsillie has revealed a few more details about the upcoming BlackBerry PlayBook tablet. According to CrackBerry, the device will have a 5,300mAh, non-removable battery, which will help it deliver more life than competing products. 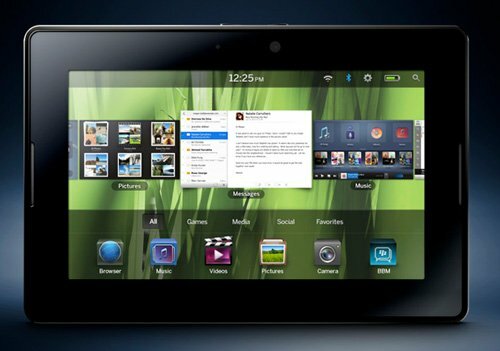 The similarly-sized Galaxy Tab packs only a 4,000mAh battery and a claimed seven-plus hour battery life when watching movies. The PlayBook should last longer, obviously and maybe it will even match or surpass Apple’s 10-hour rating for its larger iPad. RIM’s smartphones are already very efficient and known for their long operation on a single charge. We hope some of this efficiency rubs off on the PlayBook as well. 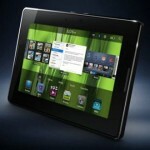 RIM already confirmed that the PlayBook will be available in 16GB and 32GB models, and now new slides at GITEX showed a 64GB model will also be in the mix.